The van began over heating in the afternoon the day they left Denver. They had to pull over half a hundred times and wait for an hour for it to cool down enough for them to continue toward the safe zone. “How far is the next place where we could stop and have the van looked at?” Jennifer asked. Melanie stood up from a park bench and walked into the shade. Rivulets of sweat ran down her back. They were sitting in a park in Price, Utah, a small town with few people on the streets and many boarded up windows. At least no one was patrolling the street with semi-automatic firearms. “Agreed,” said Mitchel and Seth at the same time. Melanie smiled and shook her head. Twins. The talking stopped and everyone watched Sam. She was throwing a dirty tennis ball for Daisy on the grass next to the playground. They had tried a Frisbee, but Daisy was much better with the ball. “Go Daisy, go,” called Sam as the huge Rottweiler lumbered after the ball. Sam stretched out her arms and spun in a circle, faster and faster, until Daisy was barking at her. She tumbled to the ground and laughing. Daisy bounded over to her and began licking her face. “Stop Daisy,” Sam said laughing and pushing Daisy’s square head away from her. Melanie made pursed her lips and looked around. “I’ll stay with you,” said Seth. “I didn’t sleep well and should take a nap while we’re waiting.” Seth kicked off his shoes next to the blanket laid out under a big maple tree. Mitchel slipped his hand into Melanie’s and they turned to go to the truck. Melanie touched Seth’s arm and mouthed, “Thanks.” He just nodded his head. She wouldn’t leave her mom and Sammy here by themselves, small town her not, automatic weapons or not. The world just wasn’t safe any longer. She and Mitchel climbed into his truck and backed out of the parking lot and onto the road. There was an Arby’s on the other end of town. Melanie had seen it when they came through. It didn’t take them long to get food, stop at the Walmart, and get back to the park. Jennifer and Sam were throwing the Frisbee with Daisy barking and running back and forth between them. Melanie slid out of the truck and pushed the door closed with her shoulder. Shifting both bags of food to one hand, she laid her hand on the hood of the van. It was cool. Good they could leave after they ate. “Come and get it,” she called. On their way out of town, they filled up both gas tanks. It was a ways before they would reach another city and being stranded in the middle of the mountains was not anyone’s idea of a good time. Melanie shuddered at the thought of having to hitchhike. Who would pick them up with shotguns strapped across their backs anyways? They didn’t make it very far before they had to pull over again to let the van cool off. There had been a huge climb getting out of the valley were Price was. They stopped several more times as they made their way through the mountains. It was the middle of the night when they could finally see city lights in front of them, but instead of the lights being a relief the sight of them made Melanie’s stomach twist into knots. “Here we go,” she said to Mitchel. The words had barely left his lips when the blinker on the van began to flash. “Damn it. What is she doing? She can’t be over heating already,” Melanie said. Mitchel flipped on his blinker and followed the van into the parking lot of a brightly lit gas station. Melanie took a deep breath and let it out slow as she closed her eyes. She clenched her jaw and opened her eyes again. “Wait, I’m going with you.” Melanie reached under her seat, wrapped her hand around her nine, and pulled the black handgun out. She slid it into the holster and opened her door. Melanie wore the gun out in the open where everyone who approached them could see it. The bell over the glass door jangled as they pulled it open. “Good evening, ladies,” said a man from behind the counter. His body engulfed the stool he was sitting on. He looked like a baseball on a golf tee in his white polo shirt stretched to capacity. Melanie quickened her pace opening the door before her mom with her gun drawn at her side. She flipped the light on. It was a one seater. She held the door for her mom and sister. She walked down the hall making sure there wasn’t a back door. She checked the men’s restroom and then walked toward the front. “Is your coffee fresh?” she asked. Melanie filled two of their largest cups with coffee and cream. She stuffed a handful of sugar packets and two red straws into her jacket pocket. Leaving the coffee on the counter, she went to the refrigerated section and pulled out chocolate milk and some fancy tea. She set them next to the coffee and waited at the end of the hall until her mom and Sam came out. Sam bounced up and down trying to grab the chocolate milk from Melanie. “Just give it to her. You can’t carry all of that.” Jennifer picked up the tea and one coffee. Melanie walked to the register and waved her wrist in front of the scanner paying for the drinks. If all you ever want to do with running is complete 5k’s and 10k’s comfortably a few times from spring until fall, your diet probably doesn’t matter too much unless you are overweight. If you are overweight, the extra pounds will make running harder so changing your diet will be beneficial even if you never plan to compete and never plan to run more than a 10k. If you want to be competitive or run farther than the 10k, you will reach a point when you realize that the bucket of movie popcorn, French fries and a double bacon cheese burger doesn’t feel good the next morning on your run. Once your diet is holding you back, you’ll change it. Food is fuel and if you fuel your body with crap you will get crap back. 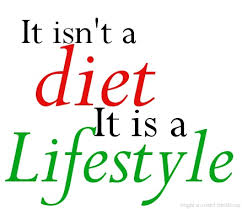 When I use the word diet, I don’t mean “dieting” or the restriction of calories to lose weight. I mean your food life style. I don’t usually have to tell my runners to change their diet. Eventually, they will ask me about mine and see the difference in my running and their running. Most of the time they don’t adopt the same diet as me, which is pretty strict, but they make adjustments choosing more fresh fruits and vegetables along with lean white meats over fatty red meats. The biggest change you can make in your diet is awareness. Think about what you are putting into your body. Most people don’t stop and think about the food they are eating. They see it, it looks good, and they eat it. The empty calories, sugar, and fat content doesn’t cross their mind. If you are able to slow down think about what you have already eaten during the day, what the actual nutritional value is of what you are about to eat, and what you plan to eat later in the day it will make a huge difference in your diet. I use a low carbohydrate life style. It can be hard to follow for many people, which is why I tell people about it and the benefits, but I don’t push it on people. I don’t eat starchy vegetables, breads (regardless of what it is made from), pasta, or rice. I’m very selective about the fruits I eat because most are high in sugar. My body has been taught to primarily burn fat rather than sugars as fuel. The low carb life style allows me to recover faster, maintain higher cognitive functioning along with mood stability throughout the day and during 100 mile events, and prevents the BONK. I can run 50 miles without taking anything but water in. If you are interested in learning more read “The Art and Science of Low Carbohydrate Performance” by Jeff S. Volek and Stephen D. Phinney. It’s only 150 pages and easy to understand. Awareness is the essential part of eating smart. The foam roller is my go to remedy for most running aches and pains especially ITband and pulled or tight muscles. 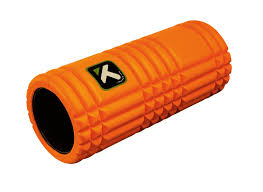 I recommend getting the foam roller that is actually not foam, but a hollow plastic tube 18 inches long (45cm) and five inches (12.5 cm) in diameter with contoured cushioning around it (orange one below). You can use actual hard foam with the same dimensions (blue below); it just doesn’t last as long. I’ll use the IT band as an example since that’s where we started, but the process is the same for any muscle in the body. Rolling is best done on a hard surface. 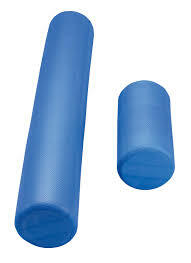 For the IT Band you lay on the foam roller on the outside of your leg beginning at the hip. Support yourself with the arm on the same side. Slowly roll down to your knee and back again. You must go slow enough that you catch any knots. When you find a knot, a particularly sore spot or and actual bump, stop for approximately 30 seconds or until the knot releases. You may have to start with supporting yourself with the other leg in front of your body if the amount of pressure without it causes too much pain or your arm is not strong enough to hold you up (as shown above). As much body weight as you can handle should be on the foam roller. With acute IT Band pain, you should be rolling twice a day for ten to fifteen minutes each time. It will take a few days to a week for you to be able to return to running. When you are able to return to running don’t stop rolling just reduce it to once a day. Ideally, you will incorporate foam rolling into your daily routine rolling the IT band, quadriceps, hamstrings, and calves. This will keep the muscles supple and prevent tightening and pain. You can do all four area’s in ten to fifteen minutes if there are no knots. Stretching and rolling do two different things. If you are only going to do one or the other, I recommend foam rolling over stretching (I know time is limited). Stretching lengthens muscles, which is good and helpful for tight muscles. I generally recommend both with an injury. Foam rolling breaks up scar tissue and releases knots. Stretching does not do this, which is why I recommend rolling over stretching. Scar tissue prevents the muscles and tendons from being elastic and sliding smoothly past one another. Both cause pain. Knots are a nasty business. They cause soft tissues to pull toward the knot, usually causing pain somewhere farther down or up from the knot. Knots can change your stride and the way your foot contacts the ground. Ultimately, knots can lead to other problems and injuries. So love to hate your foam roller. It can be painful, but it is a good kind of pain that will keep you running. Melanie stood at the edge of the ten by ten foot hole watching as the granules of dirt cascaded toward the bodies twisted and laced together in the dirt. There were seven, including Holly and her parents. The image of them would be forever burned into Melanie’s memory. She stretched out her hand over the gaping hole and the red and white roses fell from her grasp. The priest said some words that Melanie did not process beyond the murmur of his deep voice. A torch tumbled from the hands of a bent woman clad in black standing next to the priest. Melanie’s eyes followed the trail smoke and flame for a second before she wrenched her eyes away. She couldn’t watch them burn. Seeing them in the trailer mutilated was an image she could never forget. She didn’t want another one to disfigure her memories of her beautiful Holly with her fiery hair and emerald eyes. Melanie wove through the maze of mass graves dimly aware of her mother, Mitchel, and Seth hovering near her. There were so many dead in Denver that they had to burn the bodies or risk the spread of disease. “There’s no time and no money to bury them properly,” the wrinkled old man at the mortuary had told Melanie and her mother as he pushed wire rimmed glasses up the bridge of his hooked nose. He brushed off the sleeve of his blue pin striped suit, “at least not for that amount.” He peered at them over his glasses. Mitchel had to drag Melanie from the room after she had tried to shove the beady eyed man into an ornately carved chestnut casket. She heard Holly’s laugh inside her head and tears welled up blurring her vision. She wiped them away with the back of her hand. Her breath caught in her throat as she fought the sobs that threatened to break forth. She knew the sound of Holly’s laughter would fade away, just as her father’s laughter had, and losing that was as painful as losing the person. She pulled her hood up over her head as a late summer rain began to fall. She wanted to crawl into the hoodie and disappear. She wanted to scream. She wanted to sleep until all this was over. She wanted to punch someone in the face. Mitchel slid his damp fingers into her own and squeezed them tight. Part of her wanted to push him away before the world could take him from her. The other part wanted to hold him so tight he would probably suffocate. She wiped the mud from her shoes before she climbed into the back seat of the black hummer. Mitchel climbed in behind her. Melanie woke up screaming in the middle of the night. Mitchel wrapped her in his arms and two seconds later Jennifer burst through the door flipped on the lights and clutched at her stomach. Daisy was on her heels and Seth was right behind her shotgun in hand. “A nightmare,” Mitchel said. He stroked Melanie’s hair. Galen came through the door gun in hand along with one of the security guards. Karalynn was there a moment later. Galen, Seth, and the security guard left the room. “Let me make you some tea, Mel, it always helps me sleep,” Jennifer said. She grimaced as she turned to go. “Jen, you need to get back to bed. You’re going to hurt something,” Karalynn said. Karalynn helped Jennifer out of the room. “I’m sorry. I just can’t get their faces and the blood out of my head,” Melanie whispered. “I don’t understand why it’s so hard to forget. I’ve seen…I’ve seen dead bodies before. The black bag, the river, and the woman at Father Chris’s feet…” She closed her eyes and took a deep breath letting it out slow and controlled. She could see the concern on his face. She looked down at the rumpled blankets and picked at the fuzz. “I know.” She knew why it was different, but she didn’t want it to be. She wanted to forget. Karalynn stepped into the room, placed the dark blue pills in Melanie’s hand and set a glass of water on the nightstand. She swallowed the pills with a sip of water. Karalynn turned out the light as she left. Daisy sprang up onto the bed and licked Melanie’s foot. Melanie reached for her and rubbed her head and ears. Melanie knew Jennifer wasn’t pleased with finding Mitchel in Melanie’s bed, but she didn’t make him leave either, which Melanie was grateful for. Sleep was hard enough with him here, without him it would be impossible. 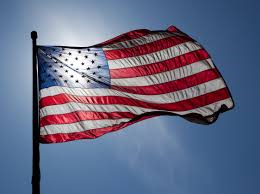 It was another ten days before Homeland Security allowed them to leave Denver. Melanie wanted desperately to get out of Denver, but a part of her ached at the thought of leaving Holly behind. She watched the city grow smaller and smaller in the rearview mirror disappearing behind the cloud of dirt and ash that had blown in from a forest fire. She twisted a silver bracelet around and around on her wrist. Melanie had found it in her suitcase. Holly thought it had been left in Blue River. She had been so disappointed since it was a gift from her mom on her sixteenth birthday. Melanie didn’t know how it had ended up in her stuff. She didn’t care. She was just glad she had some piece of Holly. And you are ready to run that marathon. You haven’t missed a run during your 16-20 week training program. You followed it religiously even through the taper when you thought you would pull your hair out with boredom and extra energy. You are stronger and leaner than you were four months ago. You have your iPod loaded with four and a half hours of your favorite running tunes. Running, swimming, and Cycling aren’t the only things you need to do to make sure you are ready for your race. 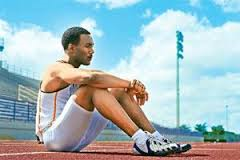 Training is a major part of being ready and without it, your race is doomed before it even begins, but there are other things too. Things that may not doom your race, but they can make it a whole lot harder if you don’t know to check them out. Any rules especially if they can disqualify you. The products they will have at the aid station and train with them or bring your own. How many aid stations are there and how frequently are they. Look at the route and elevation map, if they have one. This will help you decide what type of training you need to do. How much climbing and descending is there? Everyone thinks downhill races are easier, but they aren’t if you don’t train to run downhill. Make hotel arrangement if you need them or reserve a campsite. If the race is within an hour of my house I drive to the starting line because I will sleep better in my own bed than I will at a hotel. Make sure you know when and where packet pickup is. Don’t assume you know because you’ve run the race before. These types of things change year to year. 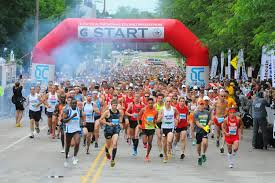 Some races do not have race day packet pick up, especially bigger and longer races. If you have to travel to the race, make sure you will arrive before packet pick up ends. If you know you are going to cut it close, make sure the race director knows that too. Read the schedule of events. Some races must shuttle you up a canyon or where ever the starting line happens to be. This is critical because the race may not start until 7:00 a.m. but the last bus will leave the finish area at 5:00 a.m. You do not want to miss that bus. The other thing you must be aware of is how long you will be waiting between the time the bus drops you off and the start of the race. In Utah, many marathons begin up in a canyon. The runners run down and into the valley. There are shuttle buses at the finish line, which take runners to the start. They usually drop them off an hour before the race starts. Everyone huddles around fire pits trying to stay warm. Typically, you can wear warm clothing to race start, take it off, and put them in a plastic bag a few minutes before the gun goes off. The bag is taken to the finish line to wait for you. This is important to know. It takes energy to stay warm. If you are standing in a windy canyon at the break of day for an hour, you had better be prepared. You can also take a plastic bag to sit on or wear if it rains while you are waiting. Check the weather. You should be watching the weather the week before your race. Especially if your race is during a season when the weather can change quickly. Showing up at the starting line in shorts and a t-shirt when there are going to be torrential rains may not be the wisest decision. Plan dinner for the night before. Don’t stuff yourself with pasta the night before a race. Eat the same amount of food you would normally eat. Extra carbohydrates won’t help you because your body can only store so much glycogen regardless of how much you eat. Have a list of things you need for the race set out on the table, so you don’t forget anything or pack them in your car the night before. Set all your stuff out the night before. Shoes, socks, clothing, bib, garmin, gu or other food, ipod, and earbuds. You are less likely to forget something if you get it ready before you are rushing out the door in the morning. Driving to the race. Know where the start is and how to get there from your house. Know where you can and cannot park. Know which roads are going to be shut down. If you are meeting people there, have a place planned or a way to contact one another once you arrive. Have a breakfast plan. Know what you are going to eat and make sure you have it. Know what time you need to get up to be able to eat and digest before you run. Set two alarms (just in case). Does a Marathon ever get easy? Saturday I had the pleasure of watching a few of my friends run in their first marathon. They were nervous and excited to bursting. I was amazed when each of them crossed the finish line not only because they had accomplished what they set out to do, but because it started snowing right before the start and then it rained for the entire marathon. In fact, it rained for the next fifteen hours. I understand where the question, “Does the Marathon ever get easy?” comes from. Most people think if you run ultramarathons of fifty to one hundred miles, twenty-six miles should be a breeze, right? Not necessarily. Yes, I use marathons as a supported long run. Yes, my training consists of running thirty miles on Saturday and twenty miles on Sunday. Yes, I run four marathons back to back for fun, all through the night, and don’t stop to rest. So, does a marathon ever get easy? It’s all in the way you run it. If I run a marathon at my easy long run pace, I’m not sore the next day and I can run another marathon if I want and sometimes I do. If I put all my effort into the marathon, I’m probably going to take a rest day or two. I may even be a little sore depending on the course. The marathon is as hard as you want to make it, even for ultramarathon runners and elite runners. Whenever you push your body to its limit, it’s hard regardless of what your training plan is and regardless of how many times you have done it before. One thing that your body does get better at is recovering after the marathon. Even when you put out your full effort, your recovery time (time until you are out running again) gets shorter and shorter. It may take a first time marathoner seven to ten days to recover, but it will take a more experienced marathoner two or three days.